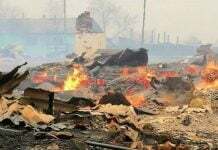 Home Natural Disaster Fire Is the government concealing California’s wildfire death toll? Is the government concealing California’s wildfire death toll? 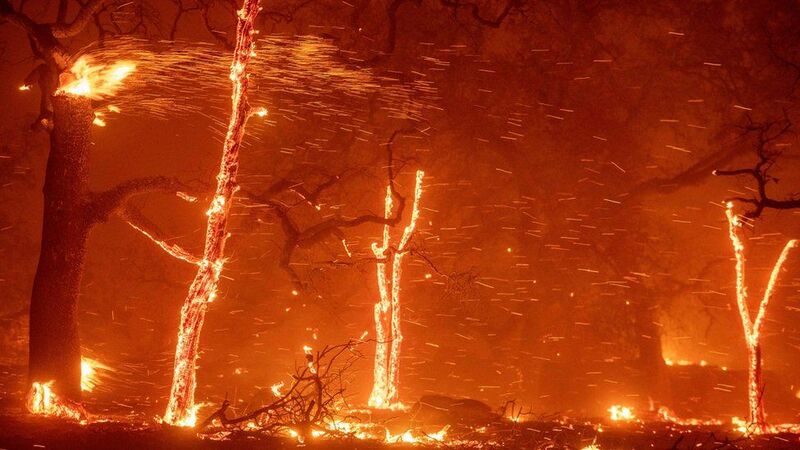 Yesterday President Trump visited the scorched earth of northern California, his first trip to the burning state since the Camp and Woolsey wildfires scorched 250,000 acres of land and turned the town of Paradise into a pile of shouldering ashes. Standing on a Malibu bluff overlooking the devastation, the president said, “The very is very, very bad, but we can rebuild what was lost.” He did not mention the seventy-one confirmed fatalities or the nearly thirteen hundred missing people, figures the White House and the California Department of Forestry and Fire Protection have fudged to prevent the country from grasping true impact of this cataclysmic event. “It was FEMA Director Brock Long’s idea. He told Trump that Americans can’t handle another mass causality event after the recent string of mass shootings. His idea is to slowly release the number of fatalities, one here and one there, to soften the impact. 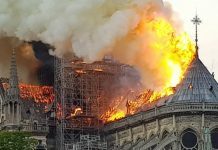 Eventually, maybe in a year or two, they’ll admit all the missing people died in the fire. 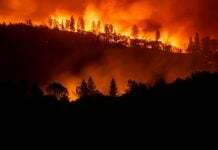 By that time, though, everyone’s mind will be occupied with other events, and no one will remember what happened in California in November 2018,” our source said. His words are corroborated by two California first responders, who we’ll call “Dan” and “Steven.” They claim the entirety of CAL FIRE has been placed under a gag order prohibiting them from publically speaking to the number of casualties. “We were told in strict words not to speak about victims to friends and family, not to post anything on social media that contradicts official reports. We give the info to our chief, he gives it to FEMA, and FEMA gives it to whomever. But I know the death count is being grossly misrepresented. We found the remains of thirty people in one location,” Dan said. He told a chilling story of finding the burned-out skeletal husk of a tour bus once filled with happy-go-lucky vacationers. Some bodies were found without skin; others were much, much worse. Dan said some were reduced to ash, as if cremated, and that he assessed fatalities by counting the amount teeth found scattered about the area. He guesses forty persons were aboard that bus. “The fire got so hot, so fast—they didn’t even have a chance to stand up and try to get out. In twenty years of firefighting, I’ve never seen anything like it,” Dan said. Steven had a similar story. His ladder company found a row of six cars, keys still in the ignition, each filled with two-to-six roasted corpses. In just these two instances, approximately sixty people perished; yet we are led to believe only seventy-one people have died and the 1200 missing are probably doing fine and will return home after the crisis ends. As concerned and aware citizens, we deserve nothing less than the truth; not only about the number of fatalities but also the truth behind who and what actually started these fires. I’m not holding my breath. Hi, a big events of mudslides are coming in this Thanksgiving Holidays to Paradise, California. I hope all the camping evacuees in the bottom of the valley, Chico Ca will evacuate again preferably to a hotel room before this 10 inches of rain falling down to that fire affected area. Those mudslides might able to reach Chico, the bottom of the valley. Do you remember just after a big wildfire in in Montecito, California near Santa Barbara, they got torrential rain and mudslides, and many people died. This is the same pattern repeating again and again. UPDATE: Rockslides/Mudslides probable in No Cal | Never before seen desert turns INTO ocean! 3 Reptilians (disguising as humans) and 2 dogs were rescued from Reptilian Antenna facility on the top of the mountain during Woolsey Fire. Must be someone paid to say this so it will seem less legit and written off as a conspiracy..nice try traitor! The radar reading about those hot spots starts at 12:00. M4.1 tremor has just appeared right now around (wild?FIRE) in Idaho according to USGS earthquake map. The coordinates are 45.972°N 115.799°W. Depth was 13.3 km. I believe these tremor and FIRE are related to the (Reptilian Secret Underground Base) cleaning up operation by Galactic Federation of Light. Burning space junks falling down looked very interesting. Yes, Star Wars has been going for millennium. Those space junks were probably from US Air Force fighting in Low Earth Orbit with Galactic Federation of Light. US Air Force is also spraying poisons and viruses over the sky called Chemtrails in order to kill you for their (Reptilians’) depopulation agenda. how is IT that missing people are not contacting their families and friends and reporting they’re alive and over “here” ? and the agencies receiving reports on missing are not being notified and updating numbers ? something is not right. missing ??? even right after 911 most definitely KNEW living or dead. A lot of them are older and did not have cell phones. Or didn’t have time to find their phones or contact phone numbers. Most of the missing are very elderly as Paradise was largely a retirement community. Weather related accident in China. 28 cars and trucks had been involved. 3 dead, 10 injured. It was very foggy when this accident happened.